I’ve made beet kvass before and suffered through drinking it because it was good for me. This is coming from someone who normally likes beets. I don’t know what got in to me to try making carrot kvass but maybe it’ll be friendlier to my taste buds. Ginger of course just seems natural with carrots. I made 3 different kinds in order to experiment. One with whey, one with no whey, and one with the carrot just scrubbed not peeled. I actually forgot to peel it before I put it in the food processor, lol! I figure it probably has extra good soil bacteria. I gave it a try yesterday night and was pleasantly surprised. I actually liked it. I added a few drops of stevia to sweeten but even without the stevia it was palatable. It’s not something I would drink for the sheer enjoyment of it but since it’s good for me, I can enjoy it. I decided to try a second fermentation with added juice and now it’s very good. Place carrots in a quart sized mason jar. Add salt, whey and water. Cover tightly and shake to dissolve salt. Loosen cover and let set at room temperature 3-5 days. Strain out carrot solids, squeezing out the juice. Refrigerate. Save solids for baking or soups. Reserve some liquid and use in place of whey to inoculate future batches. I found doing an optional second ferment makes it much tastier and effervescent. 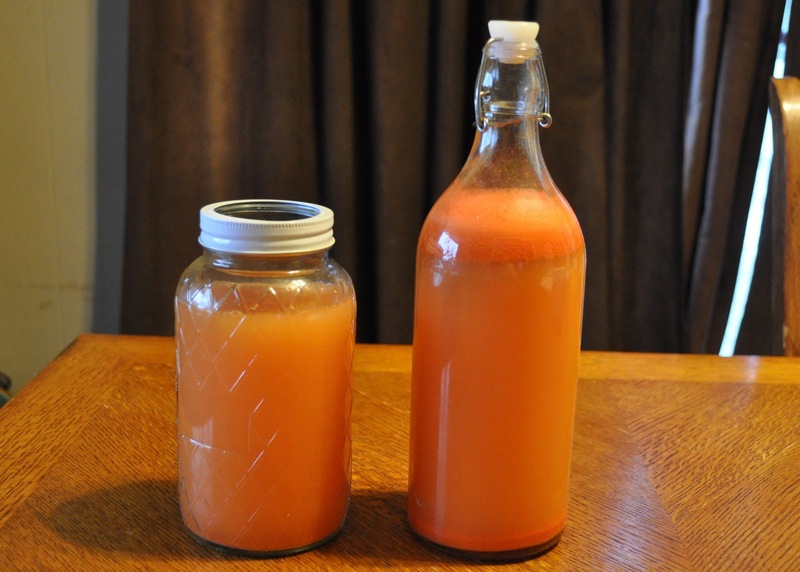 Once you’ve strained the kvass, pour into flip top bottles or a mason jar, about 2/3 full. Add juice to top it off. Seal tightly and leave at room temp for another 8-12 hours. Remove to cold storage. I made one with apple and one with carrot juice. Both are great. Part of Food Renegade’s Fight Back Friday and Real Food Forager’s Probiotic Food Challenge and Fat Tuesday, and Friday Food Flicks. oh- btw- have you ever tried squeezing a little lemon juice in the beet kvass right before you drink it? Thats how I made it manageable! Nourishing Journey, I'll have to try that! I've been wanting to try beet kvass again with a vegetable culture instead of whey to see if I like it better.Joy, thank you! Just added it. I just started my first ever ferments at home. I have some Japanese Sauerkraut going along with some ginger carrots (recipes from the Nourishing Traditions book). 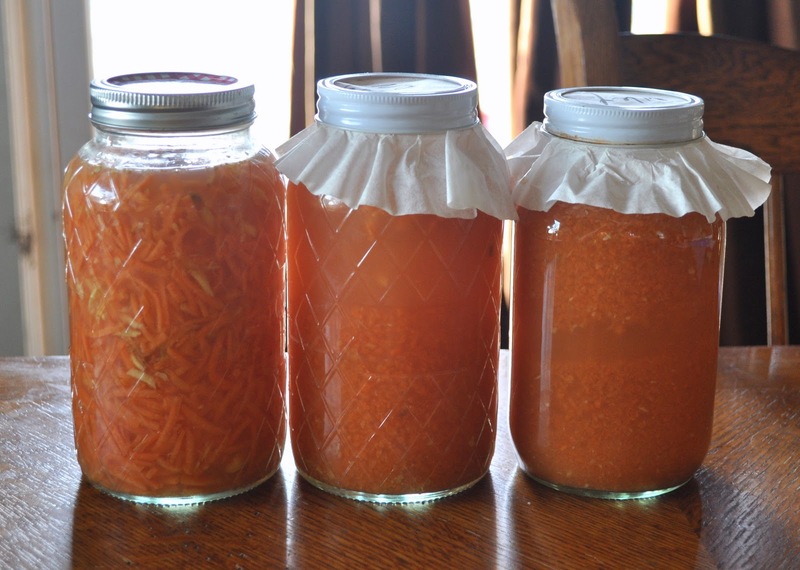 I think I will take the liquid from the carrots and do the second ferment as you described here. Thanks! I will bkokmark your blog and check again right here regularly. Would you make this more of a 30 day ferment now since you have found it has more probiotics? Would you change anything else?